LINCOLN, Neb. — Nebraska coach Scott Frost provided a brief update on the status of wide receiver Dominick Watt, the last member of the 2018 class whose status is uncertain. "We're still waiting on Dom," Frost said. "We feel real positive about it. Actually we feel real positive it could happen really quickly." With fall camp set to begin Friday morning, the status of Watt has been of particular interest to Nebraska and its fans. Watt tweeted an update last weekend, sharing that he was "all finished." Watt, a 3-star wide receiver from Hollywood, Fla., spent the summer finishing class requirments to becomg eligible at Nebraska. Frost previously said at Big Ten Media Days that the staff was "very optimistic" about the status of Watt and running back Maurice Washington. The news came yesterday that Washington had been admitted to the university and will be immediately eligible this season. 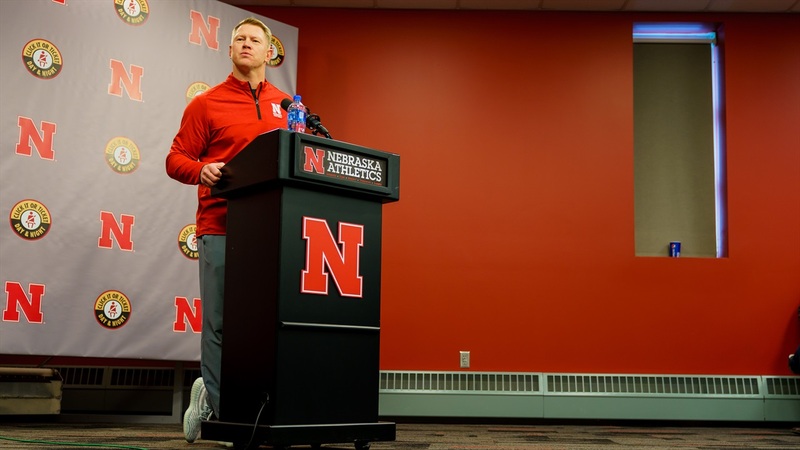 Frost said Washington could arrive in Lincoln Thursday afternoon. Watt committed to Nebraska on Jan. 18, his birthday. Six-and-a-half months later he's expected to be on the Huskers' roster soon.